Do you want to repair a tooth this is damaged, chipped or cracked or need a missing tooth replaced? Tooth crowns and dental bridges are popular procedures that are used to repair your teeth or replace missing teeth so you can restore your smile. To replace your missing tooth (or teeth). To repair your chipped or cracked tooth. To fill unsightly gaps between your teeth. We use 3D technology that allows us to eliminate the need to wear a temporary crown while the permanent is being fabricated at a dental lab. 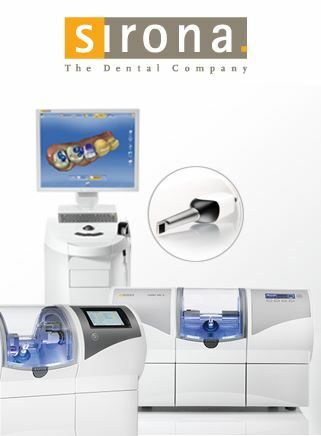 The technology is called CEREC. We use a hi-tech 3D camera to create a digital impression of a tooth, then design a permanent crown, veneer or a bridge using their proprietary software with precise accuracy to ensure the best possible fit. The restoration is then milled right in our office and is ready to be permanently attached to your tooth in as little as 30 minutes. It’s all done in one visit. The end result is a “smile makeover” that looks natural and makes you feel confident about smiling again.